Caroline D. Gentile, known to many generations of UMPI students as Miss Gentile, dedicated herself in many ways to the institution over the course of her 56-year teaching career. In 2002, she stepped forward with a $500,000 gift–at the time the largest individual gift in the institution’s history–to help build the wellness center that now bears her name. Including a legacy gift that she bequeathed to the campus upon her passing in 2008, her total gift to the University was approximately $1.1 million. Miss Gentile served the University for a total of 59 years. She was hired in 1946 by Dr. Clifford O.T. Wieden to teach at the then Aroostook State Normal School, and build its Health, Physical Education and Recreation program (HPER). Through her extraordinary long range planning abilities and her more than a half-century as a classroom teacher, she created a physical education program that has served the County, the State, and the regions beyond. Over the years, the program has gained a reputation for excellence around New England. For more than 50 years, she orchestrated commencement every year, paying strict attention to protocol and tradition. She taught thousands of students, served on hundreds of committees, and influenced many a faculty member. 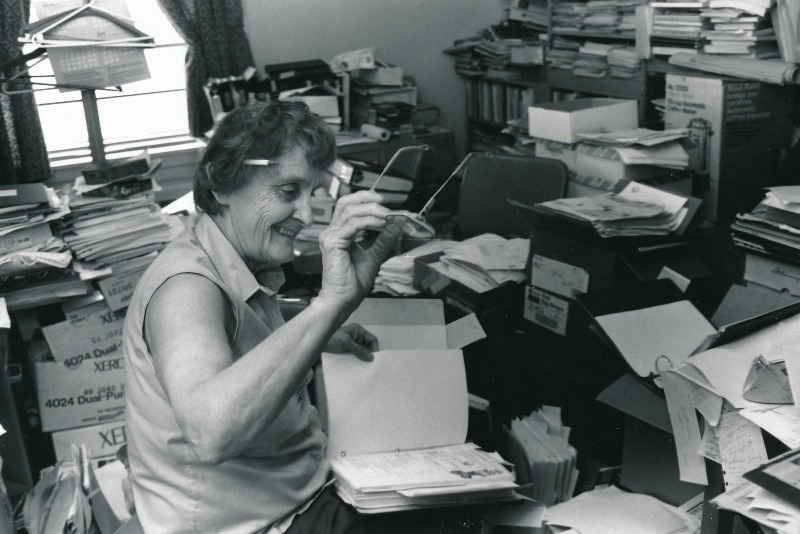 In March of 2000, Miss Gentile was inducted into the Eleventh Maine Women’s Hall of Fame. In 2003, she was inducted into the Maine Sports Legends Hall of Honors. In November of 2006, MAHPERD [Maine Association of Health, Physical Education, Recreation and Dance] honored Miss Gentile with its top distinction: the Highest Praise Award. Miss Gentile spent a lifetime promoting health and physical education and the legacy she left us continues on today through the programs, activities and events that happen yearlong at Gentile Hall.